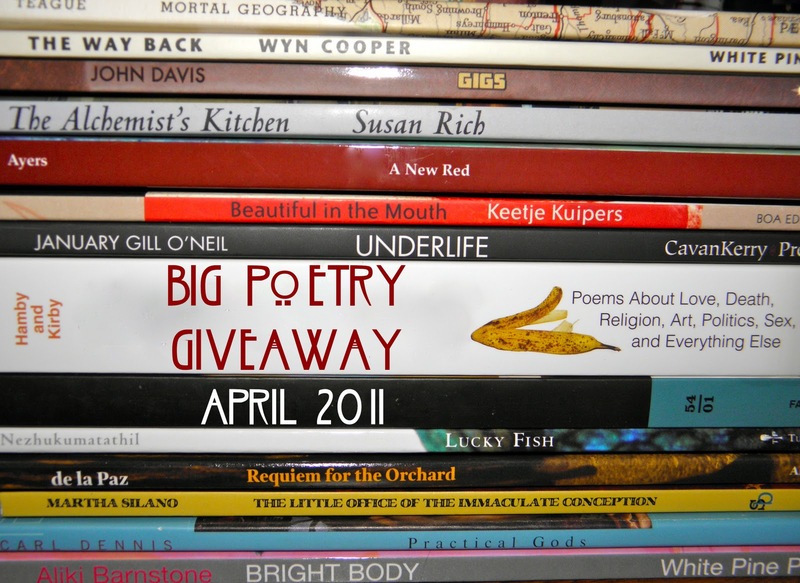 Kelli Russell Agodon over at Book of Kells has once again jumpstarted an extravaganza of poetry love, the Big Poetry Giveaway. Seeing as it’s April, National Poetry Month, and Fool’s Day is safely over, I thought I’d get on board. This is the deal: leave a comment here with your name and at the end of the month I will draw the names of two readers (using the Random Number Generator) who will each get a free book of poetry. If you go to Kelli’s blog you’ll see a long list of folks who are also doing poetry freebies—so get surfing, and get your poetry on! One person will get a free copy of my book, How I Got Lost So Close to Home. I’m supposed to pick a book by another author to give away, but I couldn’t decide which one (sorry!) 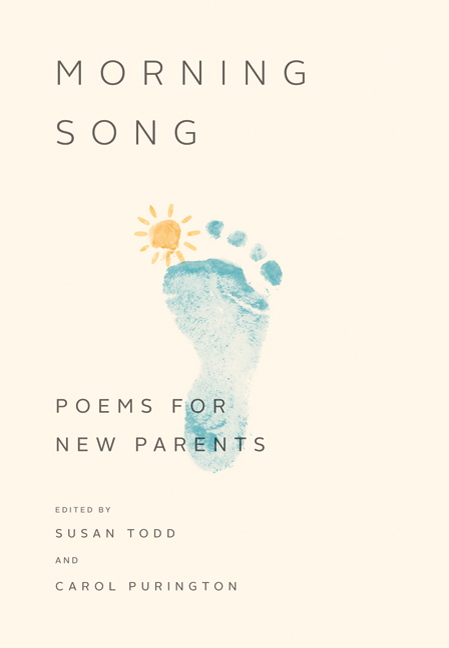 so instead, the other lucky winner scores a new anthology that’s coming out from St. Martin’s Press (yes, I’m in it, but so are LOTS of other people), Morning Song: Poems for New Parents, edited by Susan Todd and Carol Purington. It’s available in hardcover and audio—you choose. I know–it’s pink and blue. Don’t be scared by that. The anthology is far-ranging, and includes poems from all kind of folk, including Billy Collins, Mary Oliver, Richard Wilbur, Sylvia Plath (natch! ), Galway Kinnell (ditto), Natasha Trethewey, Pablo Neruda, John Berryman (I love that there’s Berryman in there! ), Kay Ryan, Jane Kenyon and Rita Dove. Pokey’s happy that there’s this good, juicy book coming out with strong poems about parenting that we Mothers And… can turn to when we’re feeling…over-taxed, shall we say?. No purchase necessary. No obligation. No time-share tour. C’mon, leave a comment. Let the words begin! I’d love to win either book (but I’d give preference to your solo volume, if I had to choose) so please include me as a last minute entry. please enter me in your giveaway! and don’t hesitate to swing by my blog where I am also participating in NPM. Thanks! I’d love to be entered in your giveaway! rebecca(at)rebeccareid(dot)com. I am so glad I discovered your blog. Love, love what I’ve seen of it! I’m a mother of three (15, 12, 10) who is constanctly trying to find balance in life. Please enter me in your giveaway; and I have a poetry giveaway over at my blog as well. Woohoo! This sounds wonderful 🙂 Count me in. count me in! my husband and I are expecting our first baby this September, i’d love to read the poems for new parents! Please count me in, and thanks a lot for doing this! Hello, please enter my name in your drawing. Thanks! yes, please do enter my name! Please enter me in the poetry giveaway. thanx! poetry in april, but of course! sign me up, and count me on board, good angel. thanks for the push! Happy to participate in this Poetry For The People Campaign. And thank you in advance!